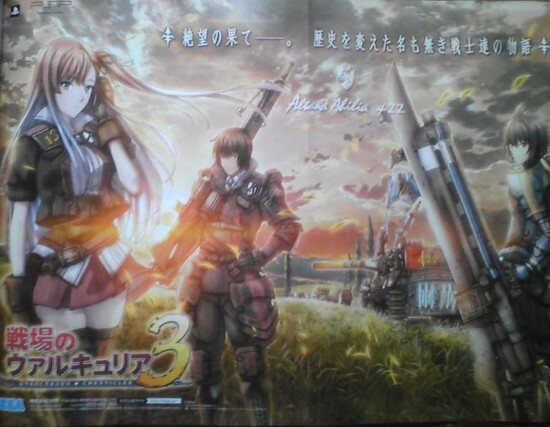 The latest scans from Japanese magazine Famitsu reveal that Valkyria Chronicles 3 will indeed be made for the PSP. In addition, other info was also revealed like new characters and which group of people you will be playing as which is a group of military offenders called ‘The Nameless’. The game will be set in the same time period as the first Valkyria Chronicles game. That’s all the info on Valkyria Chronicles 3 we have as of now and considering we only knew of it’s existence a couple of days ago, I’d say that’s a good turn out. What do you think? Are you excited to play this? Let’s Play: Renegade Ops – Mission 2 complete! A shame it won’t be on the PS3 but whatever. Just gonna have to pick up a PSP. Yes you can feel the excitement I have for it on PSP. Yes, I do have one but FFFF again, come on why not PS3?! Really enjoying VC2 at the moment, although that’s partly because of Crispin Freeman. It’s maybe a little too light hearted at the moment though, so returning to the time of the first game might offer a more compelling tone. If the choice was not having VC3 at all or have it on the PSP I’m at least glad it exists. But yeah, pining for a PS3 version. Weak! Finally, SEGA has a fresh, beloved IP and what do they do with it? Banish it to a portable that’s dead in the water in North America. I guess it’s their destiny to always shoot themselves in the foot. Time to play VC1 I guess. I’ve owned it for a bit but never popped it in. I just feel like I’m going to be very “need to get an A rank!” on every mission. The characters looks cool, but I was hoping for a PS3/Xbox 360 release.